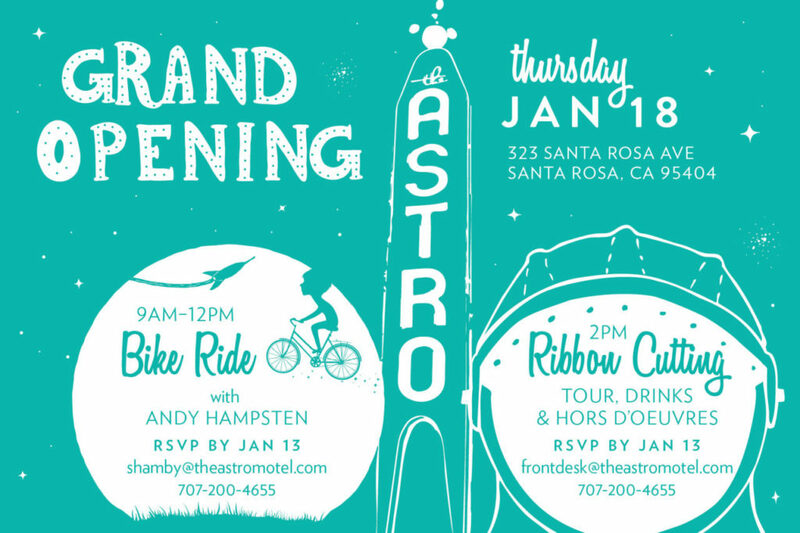 Bike enthusiasts are in for a special treat on January 18 when celebrated cyclist Andy Hampsten will be leading a free 38-mile ride to commemorate the official opening of a new Sonoma County cyclist’s destination: the Astro Motel in Santa Rosa. At 9 a.m. on Thursday, Hampsten will take participants on a scenic route from the motel in downtown Santa Rosa through Freestone and Sebastopol, into West Sonoma County and back to the Astro. Before he retired from professional cycling at the end of the 1990s, Hampsten trained in Sonoma County for several years and benefitted from the area’s revered roads, challenging climbs and technical turns. He picked this particular route as it allows all levels of cyclists to participate and showcases what Hampsten considers the best biking landscape in the world. 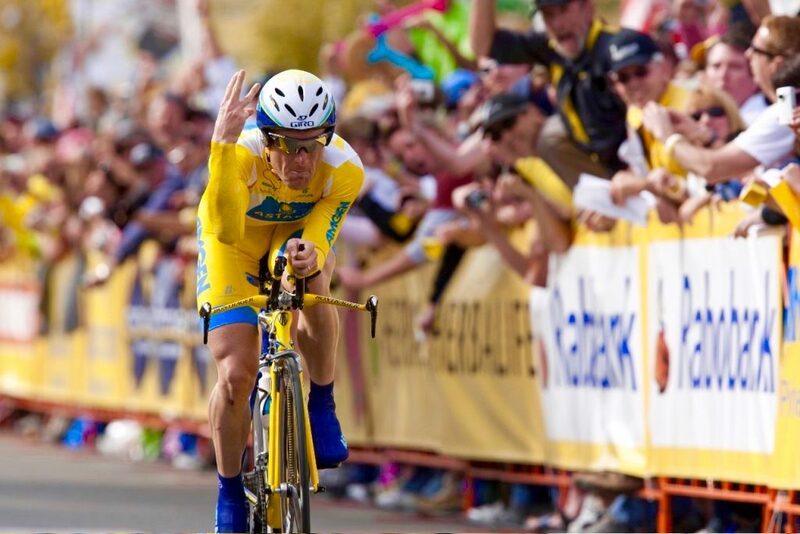 While Andy Hampsten may not be a familiar name to those new to the world of professional cycling, it evokes memories of astounding athletic achievements for those who like to keep an eye on all things bikes. Hampsten rose to cycling stardom between the mid 1980s and 1990s, a time during which professional cycling entered the American consciousness from its previous place in oblivion, in part thanks to the accomplishments of Hampsten and fellow countryman, three-time Tour de France-winner Greg LeMond. By making advances in a sport so heavily dominated by Europeans, going toe-to-toe with organizations that had engineered race winners for decades, Hampsten and LeMond managed to forever transform the public’s image of U.S. professional cyclists from underdogs to topnotch. Hampsten soon became renowned for his smooth climbing and stage-winning abilities, which he used on countless occasions to deliver impressive results — most notably during the 1988 Giro d’Italia. It was there, while battling blizzards at the treacherous 8,600-foot Gavia Pass in the Alps, that Hampsten put in the ride of his life. His Giro d’Italia performance, now regarded as one of the greatest in cycling history, was the result of Hampsten’s dauntless decision to distance himself from his rivals in order to protect his lead despite ascending into punishing cold and heavy snowfall. The moment of truth was immortalized in iconic photographs of Hampsten’s snow-crusted face; Italian newspapers declared it “The Day the Big Men Cried.” To this day, Hampsten remains the only American to win the race. The relationship between Hampsten and Sonoma County stretches back to 1980 when his friend and racing partner Gavin Chilcott invited him to stay with his family and train in the area. Hampsten fell in love with Sonoma, which he described as “the center of the cultural universe” compared to the North Dakota town where he was raised. 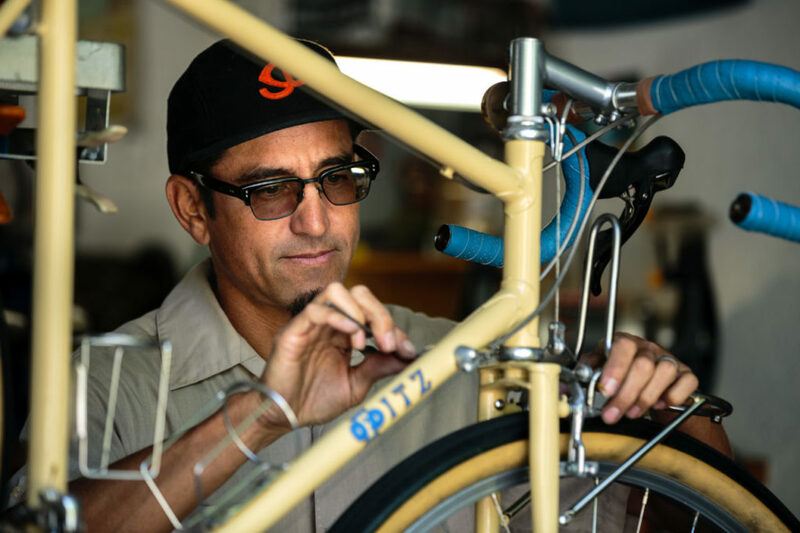 Over the next few decades, he would return many times while also running a bike tour company in Italy, an olive oil company, and a custom bike-building business, which he owns together with his brother Steve. 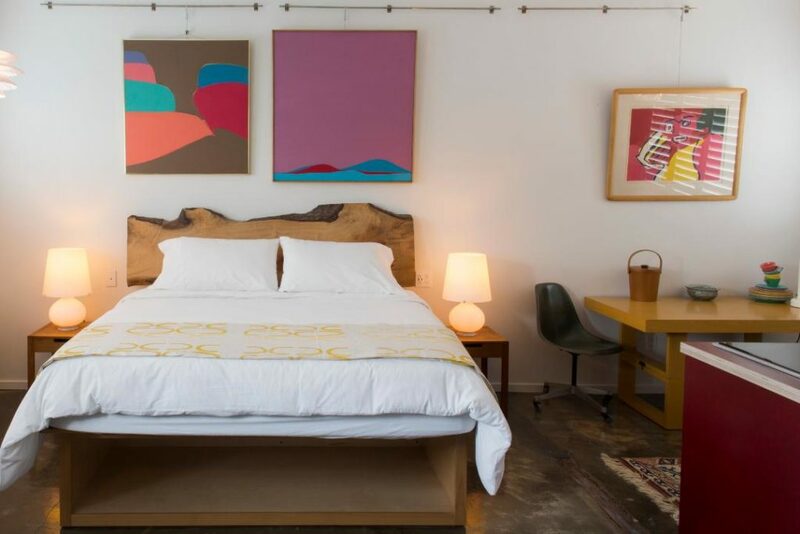 Hampsten has since stayed connected to Sonoma County, most recently as an investor in the Astro Motel. A derelict motor lodge for decades, the Astro was purchased in spring of last year by the team behind Santa Rosa restaurant The Spinster Sisters. 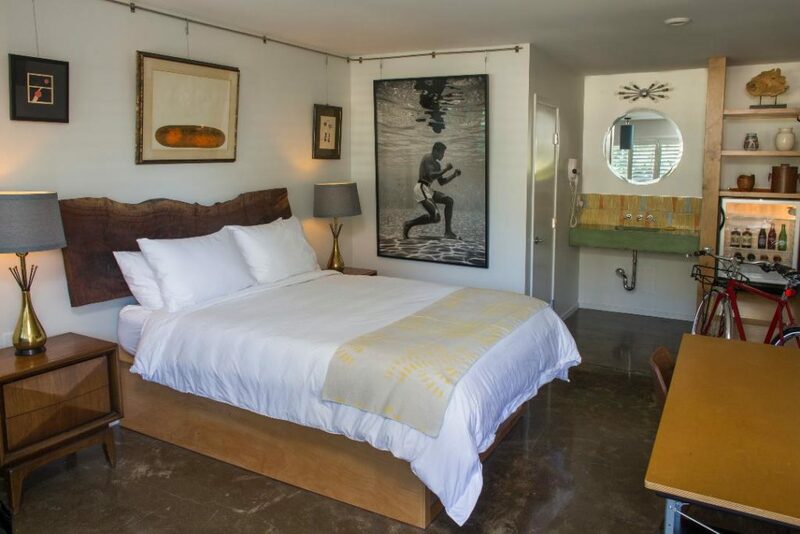 Since then, it has been transformed from eyesore to midcentury modern motel, with a touch of Sonoma and a slice of cyclist’s heaven: the renovated rooms are furnished with sleek Scandinavian-style finds from the late 1950s to mid 1960s; the former parking lot is now a landscaped courtyard — complete with fruit trees — and the hotel lounge has a full service bike shop and fuel in the form of espresso and beer. 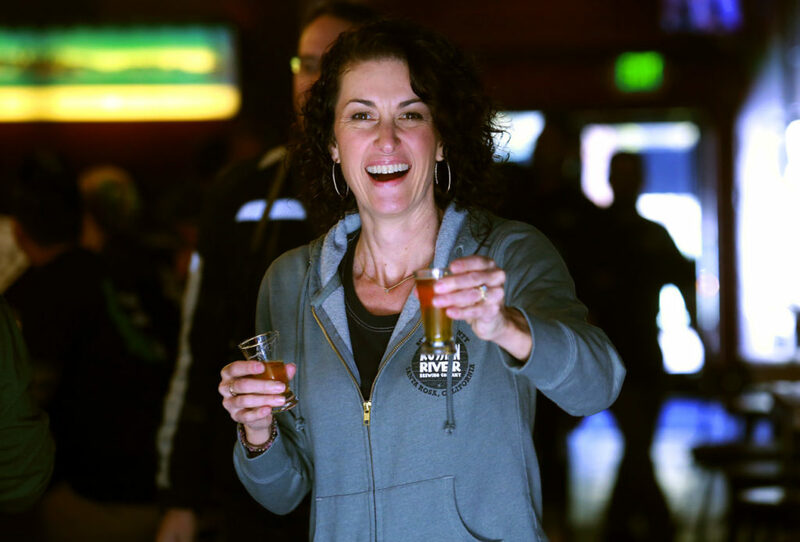 The Astro was originally slated to have a “soft opening” on October 27, 2017, but as fires struck Sonoma County on October 8, the Astro team asked for special permission from the city of Santa Rosa to open early and filled the 34 rooms with evacuees, who stayed free of charge for the first few weeks. The Astro then applied for, and received, FEMA eligibility and began housing Sonoma County residents who had lost their homes in the fires. About a third of the motel’s rooms are now occupied by FEMA-eligible guests. Joining a group of local visionaries (including chef Liza Hinman of The Spinster Sisters) who have made it their mission to create community spirit and inject a hefty dose of hip in Santa Rosa’s SOFA (South-of-A-Street) district, Hampsten has helped turn Astro into an “affordable haven for cyclists” (room rates start at $160). 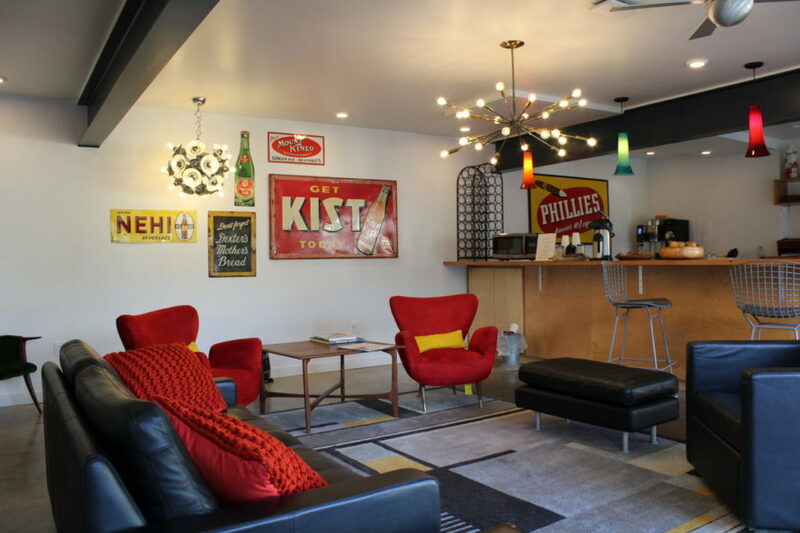 The motel channels the spirit of Italian bike hotels and inns by offering particular perks for visitors who like to explore Sonoma County by pedaling down country roads. 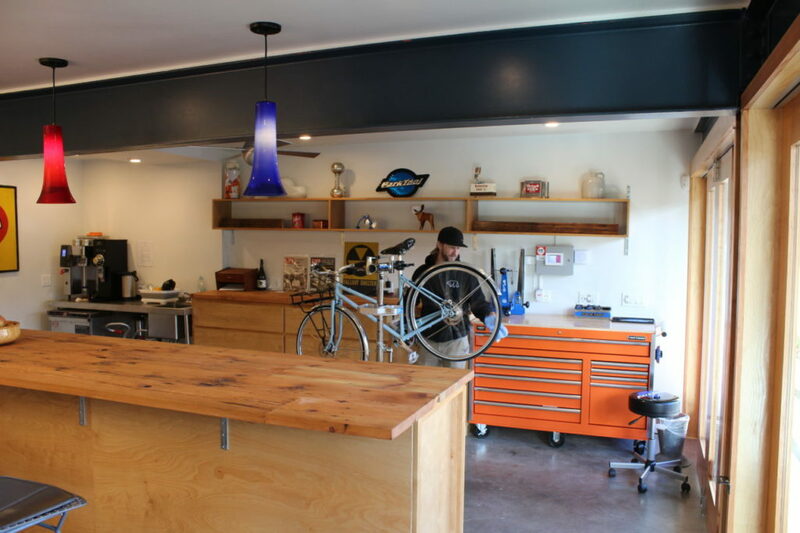 In addition to the full service bike shop, there are Shinola bikes to rent, bike lockers for those who like to bring their own and — in true Sonoma fashion — there’s an on-staff “bike sommelier” or “bike somm.” Sam Hamby has years of experience working at some of the county’s best bike shops and has high hopes for what the future holds at his new job, including plenty of organized rides, guided tours, collaborations with local bike shops and, of course, quality lodgings for participants in the numerous bike events Sonoma County hosts.